FAKE News Media freaking out! * All hell breaks loose as Trump discovers Obama’s Secret Plan to take out his family! * FISA Document Leaked! Heavy! Trump was screwed from all ends! Obama complicit! 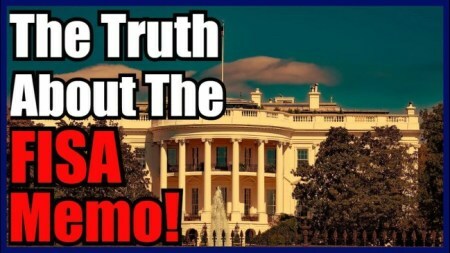 In an exclusive for BeforeItsNews, this is the first article to link to the page on the Department of National Intelligence that contains the actual illegal Secret FISA memo! This file was discovered by William Binney, former technical head of the NSA earlier today. William Binney says this memo is bigger than anything released by WikiLeaks! You now have the document in your own hands! This is the gotcha moment that should start causing chaos! This memo will smoke a lot of people out of the FBI and DOJ. Trump needs to totally clean out the FBI and the DOJ top positions and give everybody an MRI lie detector test that is 99.999% accurate! Share this information everywhere since the FAKE News is censoring it all! Here’s the link from the DNI website! Save it using Chrome before it disappears if this was a mistake! I don’t know why this file wasn’t announced publicly yet but it’s there! Copy it using the Chrome browser and tell everybody the Fake News is hiding this release! This sinks Obama and the criminal FBI! I will update this article as I go through the document. Here’s the latest show from Tom Heneghan and Stew Webb who will be talking about this in a show later today. Most source speculated that the REAL 4 pages FISA Abuse Memo is likely to be release between February 2nd, 2018 and February 16th, 2018.